Is Salad Always the Best for You? 07 Mar Is Salad Always the Best for You? When you are on any kind of diet, you may find that eating out is difficult. You may have a difficult time keeping to healthy foods if you don’t prepare it on your own. It might seem like a safe idea to just order a salad and while that can be good, there are some downsides to it as well. Depending on what you order, there might be some things on the salad that are not good for you at all. There are many salad dressings that are unhealthy and will ruin your salad. 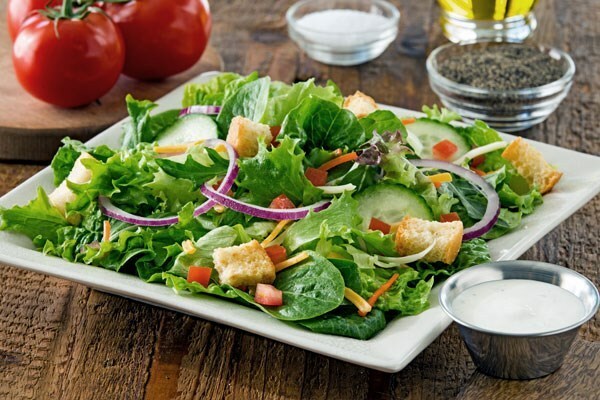 Did you know that most of the salads you order from a restaurant are around 300 to 400 calories? This will take you around 45 minutes to 1 hour to run off at the gym. 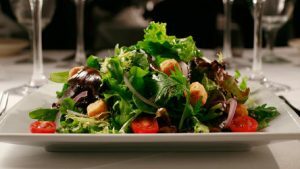 If you do want to make the best nutritional choices when eating a restaurant-made salad, there are some tips that will make this the right choice for you. When you are ordering a salad from any restaurant, choose a house salad is almost always a great idea. It is generally the healthiest, usually has the fewest calories and will have less unhealthy additions to it as well. A house salad is generally pretty basic and is usually pretty good for you. Another way that you can make the right choices when ordering a restaurant-made salad is to order the dressing off the salad. Many of those who are on a diet need fewer calories. Most of the salads made at a restaurant are made more for their taste than for their health. This is one of the reasons why you should be ordering the dressing on the side of the salad. You can then add what you need and not what is automatically put onto the salad. You can also benefit from eating a salad at a restaurant when you ask for no croutons. Croutons don’t give you must for nutrition so there is no point in having them on your salad. It doesn’t matter if they are white or whole wheat, fried or baked, they aren’t going to help you with your health or nutrition so you are better off ordering your salad without them. If you want to make your salad even better for you when ordering at a restaurant, choose to get the low-fat dressing. This type of dressing is going to have more nutritional value for you than regular dressing. You should also choose a dressing that is lower in calories as well. As long as you ask for it, most restaurants will have some type of low-fat or even low-calorie option for dressing. Many of the salads that are ordered at a restaurant have cheese on them. The problem with this is that cheese is loaded with fat and calories that you don’t need. When you have cheese on your salad it makes it less healthy for you. Even by taking off the cheese, that makes a big difference to the nutrition of your salad. So, what can you do? Just ask for no cheese when ordering the salad. 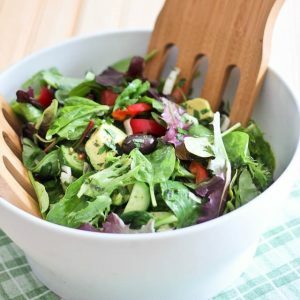 These are some of the ways that you can always make salad the best option for you. Whether you are making it at home or ordering it from a restaurant, these are the best tips for eating your salad. Sometimes you may think that ordering any salad is a fine idea but the problem is that so many of them have extra things added. Just between the croutons, dressing and cheese alone, that adds a lot of unnecessary fat and calories to your salad. Now, if you do choose to order a salad and you avoid those things, you can have a healthy salad guaranteed. Also, if you order a side salad or a house salad that will be great for you as well. Ordering from a restaurant may seem tough but if you order a salad and follow these tips, you will be fine. You will be able to stick to your health and nutritional plan without even flinching.